This year’s event is taking place February 22-24th, 2019! 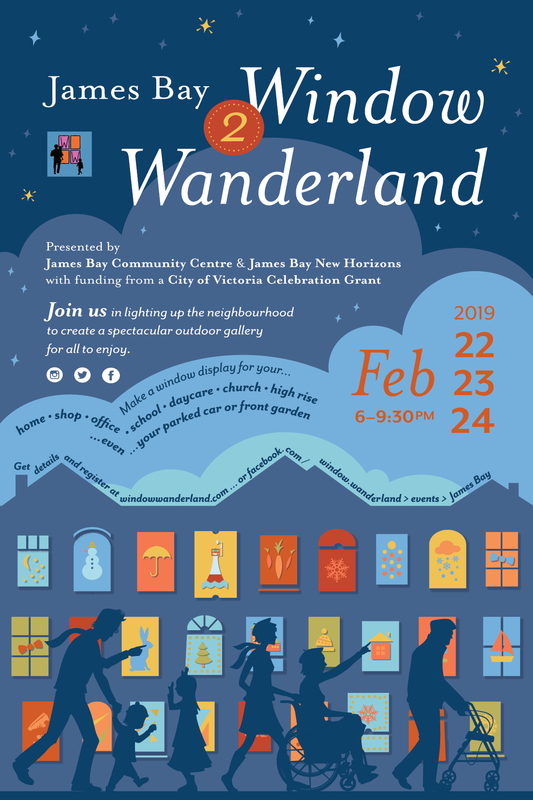 We are delighted to bring to our Community the second installment of Window Wanderland. 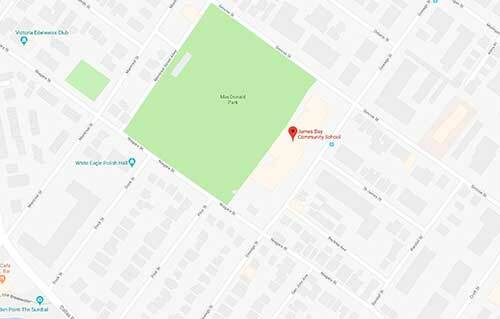 This community celebration is brought to you by the James Bay Community Centre and James Bay New Horizons, funding for the event was made possible by a celebration grant from the City of Victoria. This year we are encouraging you to wear colorful clothing or add a reflective or light enhancing device to your person, this will make you more visible as you walk the streets of James Bay viewing the amazing window displays. To check out Window Wanderland displays from 2018 and to get inspired click here. 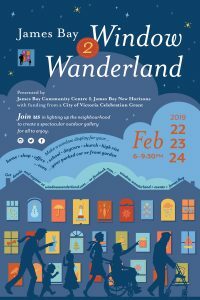 Window Wanderland Show and Tell Social at New Horizons on Saturday, January 19th between 11:00-1:00pm. Come meet your neighbours, swap stories and techniques, enjoy display making demonstrations, refreshments, and get inspired! Got ‘fear of missing out’ on this years Window Wanderland? We’re making it easy for you to take part! 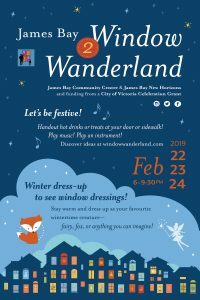 Join us in a window art workshop and your home will be ready for James Bay’s second annual Window Wanderland (happening February 22, 23 and 24/2019). Everyone is welcome, (though children will need to have their adult helpers with them). No art experience needed, and all materials will be provided. Create a giant monster, animal, human or other object to suspend in your window. Bring your imagination and, for your own reference, the dimensions of the windows you want to decorate. Create an eye-catching window decoration from colourful translucent paper –a pleasing pattern, a giant animal or giant human or….whatever you like! Bring your imagination and, for your own reference, the dimensions of the windows you want to decorate.